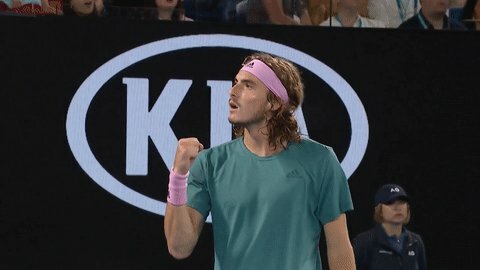 #AusOpen's tweet - "After two hours and 54 minutes, @StefTsitsipas breaks first to secure a two sets to one lead. He takes the third 7-5 against Roger Federer. #AusOpen "
After two hours and 54 minutes, @StefTsitsipas breaks first to secure a two sets to one lead. He takes the third 7-5 against Roger Federer.